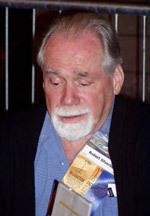 Robert Silverberg is a multiple Hugo and Nebula award winning American author of Fantasy and Science Fiction. Robert Silverberg's first published novel (1955) was a children's book called "Revolt on Alpha C" which won him a Hugo award for "best new writer" the following year. This encouraged him to continue writing and up until the scifi market crash of 1959 he wrote for Magazines and "ace doubles" (a back to back binding of two novels in one). After the market crashed he continued to write for other genres and non-fiction fields. When the market recovered in the 1960's Silverberg returned to the science fiction genre and wrote some of his best work including "Down to the Earth", "To live again" and "Dying inside". He won a Hugo for his novella "Nightwings" in 1969, a Nebula for "Passengers" a year later in 1970, 2 in 1971 for "A Time of changes" novel and the short story "Good news from the vatican" and then in 1975 he won another Nebula for the novella "Born with the Dead". After suffering from medical problems he retired from writing in 1975 but just couldn't keep away and returned in 1980 with "Lord Valentine's Castle", the beggining of the Marjipoor series. 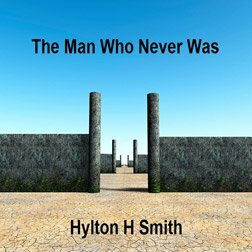 He received yet another Nebula in 1986 for "Sailing to Byzantium" (taken from Yeat's poem of the same name), a Hugo in 1990 for "Enter a Soldier. Later: Enter Another;" and in 2004 he was named Grand Master by the Science Fiction Writers of America.